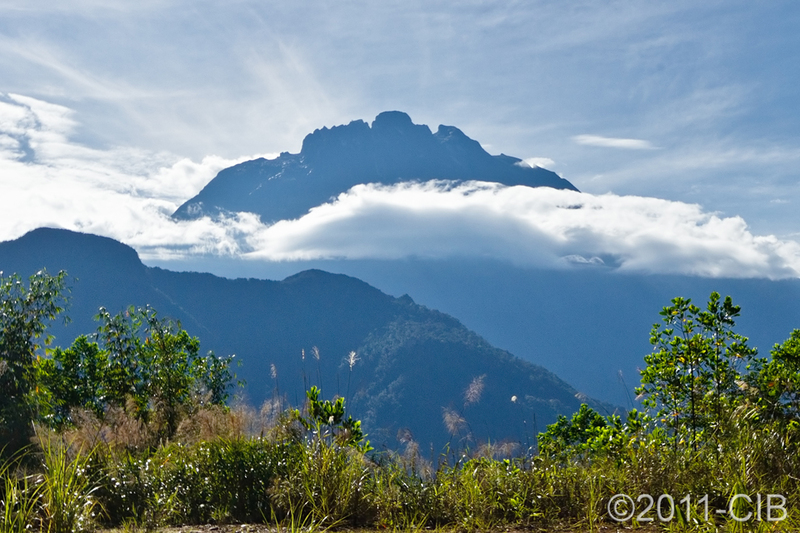 Mount Kinabalu lies in the Malaysian province of Sabah in the island of Borneo. At 4,095.2 meters over sea level, its summit on Low’s Peak is believed to be the highest peak in South East Asia. It does not require specialized skills or equipment to climb Kinabalu, as I did on May 5 this year of 2011. A good physical condition and a bit of psychological preparation will do. A guide is assigned to the climber(s) when these enter the national park. This could be avoided, I gather. My guide, a young boy from the village, was pretty useless, primarily because of his limited (or non-existing) knowledge of English. He limited himself to walk a distance behind me texting with his girlfriend on his mobile phone. It is important to climb with a light luggage and there is fine balance between having the right amount of extra cloth and carrying a really heavy backpack. After gathering some information on the web I opted for a set up that proved very good. A light water-proofed jacket is a must. Mine was from Patagonia and could be squeezed down to almost nothing. I had with me a pair of convertible trousers, two t-shirts (one long-sleeved), long under trousers, two pairs of gloves (regular sturdy gloves and liner gloves), a cotton high-neck sweater, a skiing hat and good and sturdy hiking shoes with hiking socks. I started the climb on shorts and a t-shirt. I put on my jacket when a shower came. Also important to have is a head-lamp (you’ll really need it for the final climb!). I also packed with me 6 energy bars and a bunch of nut/fruit bars as well. A half-liter (at least) bottle for water is also necessary. It can be refilled along the way. All this, plus my gripped EOS7D with the EF-S 10-22mm wide angle zoom lens found room in the 200AW slingshot from Lowepro. The set up was perfect, as I later found out. The climb from the entrance at Timpohon gate to the Laban Rata guest house is a 6km hike ascending from 1866m to 3272m. A photo gallery HERE will give a good idea of the ascent and what came afterwards. It took me 4 hours of non-stop climbing to get to Laban Rata… those endless steps…! The path has different levels of difficulty, vegetation changes with altitude. Lots of different plants and flowers. I arrived shortly after 1PM and took a nap at Pendant Hut, just above Laban Rata, before dinner at 4.30PM. I booked a via ferrata descent, so the training session in Pendant Hut happened just after dinner. I was in bed at 6.30PM. Aspirins are recommended to avoid headaches from altitude sickness. I got badly bitten by bed bugs, so perhaps insect repellent would have helped here. I got up at 2.30AM for the final ascent to the summit. Warm cloth on, here is where the head-lamp, hat and sturdy gloves came to good use. It was not particularly cold, and soon enough I was shedding off the sweater. Climbing on slippery rock in complete darkness is quite something. I conquered the summit at 5AM, after a 2.5h hike of 2.7km from 3272m to 4095m. The idea was to catch the sunrise at the top, but I was 45 min too early and fog and clouds were coming in, so I decided to come down ahead of the pack behind me, after the obligatory summit photograph. Sunlight appeared on my way down bringing incredible views of the mountain. A high ISO and a steady hand was needed to photograph what really looked like another world. Truly beautiful rock! Two hours later, I was back at Sayat-Sayat for my first ever experience with via ferrata. It turn out much better than I expected and it is highly recommended. I was alone with my ferrate guide, who unlike the climbing guide, was a real professional, very helpful and knowledgeable. Very pleasant descent with astonishing views from the mountain and the valley. My legs turned into jelly during the final descent from Laban-Rata to the entrance of the national park, which again took some 4 hours of non-stop walking. The Carlson waterfall, at the end of the trail, was a refreshing sight with which to end two amazing days. muy buena roca, gran trepada y muy lindas fotos! !